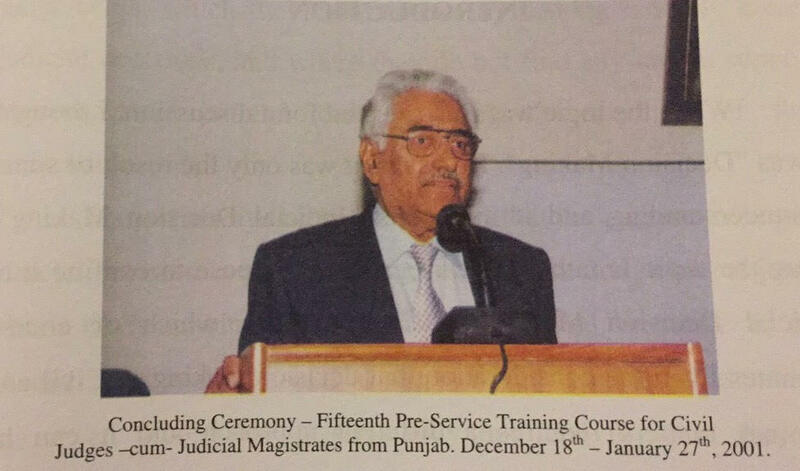 Hasan Nawaz Jowandah graduated from the University of Punjab in 1952. 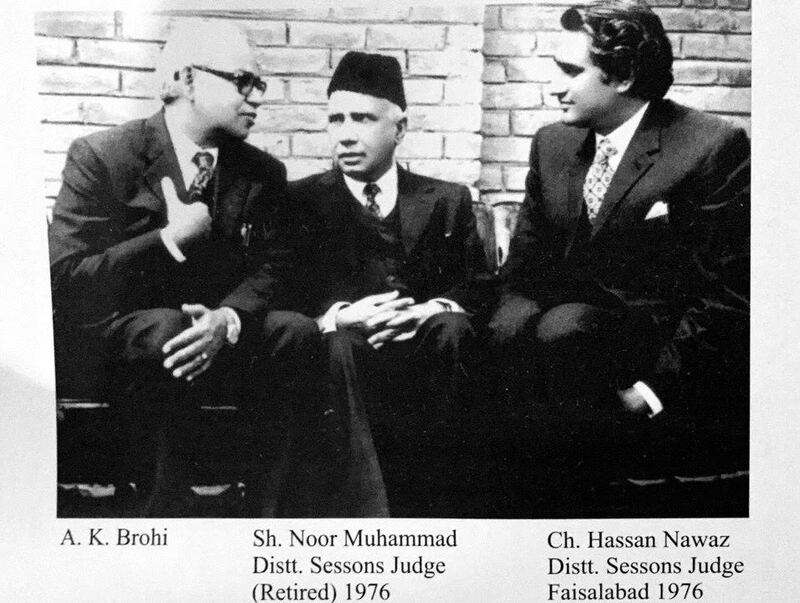 After that he passed the Provincial Civil Service (Judicial Branch) Competitive Examination and served as a judicial officer in various capacities from June 1955 to 1971, including service as Additional District and Sessions Judge after promotion to senior CSP scale. From 1973 to 1978 Jowandah sahib served as District and Sessions Judge, and from 1978 to 1988 as the Joint and Deputy Secretary Ministry of Law, Justice and Human Rights. He also served as a member of the Federal Service Tribunal from 1988 to 1994. From 2000 to 2005, he served as Director of the Federal Judicial Academy. Mr. Jowandah has also written a book titled Systems & Situations which is a collection of essays related to law that he penned down from time to time. Q: Why did you choose judiciary over practising as a lawyer? Q: What do you think are the serious problems faced by courts in big and small cases? “After years of experience as trial judge, I strongly believe that inefficient criminal investigation and public prosecution causes the most problems in the dispensation of justice within the criminal justice system. Competent criminal investigations are obviously of great importance for an efficient administration. Those who conduct them should be highly educated and trained. The principal difficulty is generated by the mix of police duties since they are involved in crime prevention and control and conducting criminal investigation. It is difficult for the officers to perform both classes of functions with equal skill. The only effective solution to the problem lies in the separation of these two functions through the creation of special agencies which do nothing apart from conducting criminal investigations, leaving maintenance of public security and order to the regular police. Q: Is there any case which stands out for you, from your time at court serving as a judge? Q: You have written about delays in the disposal of cases and the problems faced by courts in criminal and civil litigation, where a presiding officer may have to deal with a cause list of 120 to 150 cases in one working day. How do you think the court’s time should be split between the criminal and civil calendar? What would eventually help in saving the court’s time and reducing delays in the disposal of cases? maximum punishment provided for a particular offence. Q: How did you assess the quality of advocacy in your courtroom? Q: What is one thing you would change about procedural law if you could? Q: What effect do you think political polarization has on the judiciary? Q: What is the most important thing you want people to know about the courts and the judiciary? Q: Any message you want to give to the young aspiring judges? The views expressed in this article are those of the author and do not necessarily represent the views of CourtingTheLaw.com or any other organization with which she or he might be associated.